In the latest round, contracts are up for grabs to deliver up to 800 megawatts, enough power for more than 460,000 homes. All right, wind farm developers. Sharpen your pencils. Round 2 is about to begin. 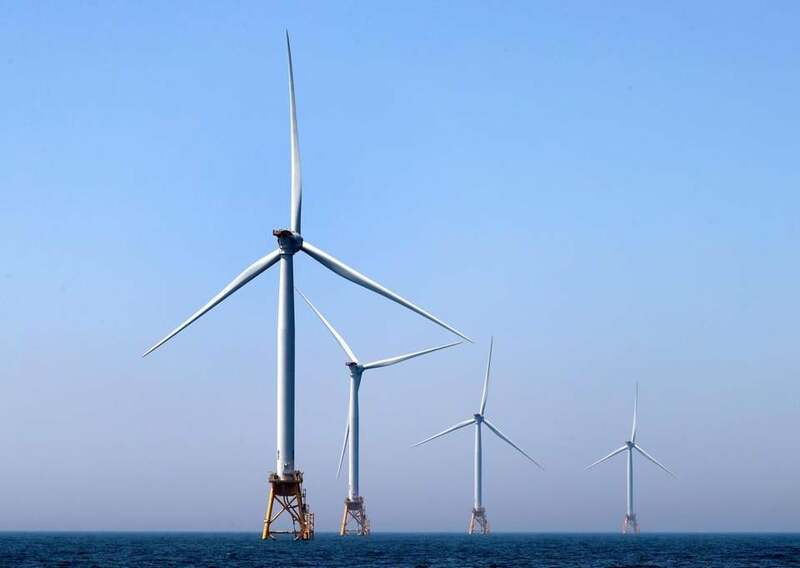 The Department of Energy Resources released rules on Thursday for the next phase of the state’s offshore wind competition. Contracts are up for grabs to deliver up to 800 megawatts, enough power for more than 460,000 homes. Let’s see who can win this. Massachusetts was early to this game, two years ago. (Other states such as New York and New Jersey now want to steal our thunder.) At the time, all three companies with New England offshore lease rights showed up to compete for the first round of wind contracts. This time around, a few tweaks were made. State officials weighed two different kinds of competing forces. The first balancing act: rushing the process, to take advantage of an expiring tax credit, versus moving methodically, to give newcomers Mayflower Wind and Equinor more time to prepare possible bids. The second: improving the local economic impact, while ensuring turbines get built as inexpensively as possible. As far as timing goes, this one is on a fast track. The last round took nearly a year. This schedule? Roughly half that time. Bids will be due in August, the winner picked in November. The quick timing leaves open the possibility that the winning bidder could benefit from a 12 percent federal tax credit that expires at the end of 2019. Vineyard Wind, a joint venture owned by two European energy companies, is banking on the tax credit to help finance the first set of contracts it already won. State law requires each winning bid to be lower in price than the last one, so the tax credit could be even more crucial now. The winner will need to beat the average price of 8.4 cents per kilowatt hour that Vineyard Wind established in the first set of 20-year contracts. Oh, about that price cap. Representative Pat Haddad of Somerset is working furiously to pass a bill that would rescind it. Haddad says the South Coast region that she represents isn’t benefiting enough from the industry, when compared to other states’ offshore wind contests. Yes, Vineyard Wind will lease the wind-farm terminal in New Bedford. But Haddad wants more, and worries the price cap could get in the way. New Bedford Mayor Jon Mitchell recently sent a letter signed by South Coast political and business leaders to Governor Charlie Baker’s energy chief, Matt Beaton, urging him to place a higher premium on the local economic impact. Under the current approach, 75 percent of the scoring is based on price, and 25 percent on all other factors. Mitchell wants at least 15 percent of a bidder’s score to depend on economic benefits. Sorry, Mayor. That’s not going to happen, at least not yet. State officials are keeping the 75-25 formula, for now. However, bidders will need to provide more details about how their projects will help the local economy, and Baker’s economic development office will also be involved in the judging this time. Mitchell remains undeterred. In his state-of-the-city address on Thursday, he called on state officials to improve the procurement process. Bidders, he said, need a stronger incentive to invest in his city and set up a permanent presence there. So to win Round 2, the developers will need to compete on price again. But it might not hurt to show a little more love to the South Coast while they’re at it.